Last month at New York Comic Con, IDW Publishing announced a crossover between G.I. Joe (long licensed by IDW) and The Six Million Dollar Man, the property that started life as a ’70s TV show and calls Dynamite Entertainment its comic book home. Now, CBR can reveal three covers and solicitation text for the February-scheduled first issue — and the crossover’s full title, G.I. Joe: A Real American Hero vs. the Six Million Dollar Man. G.I. 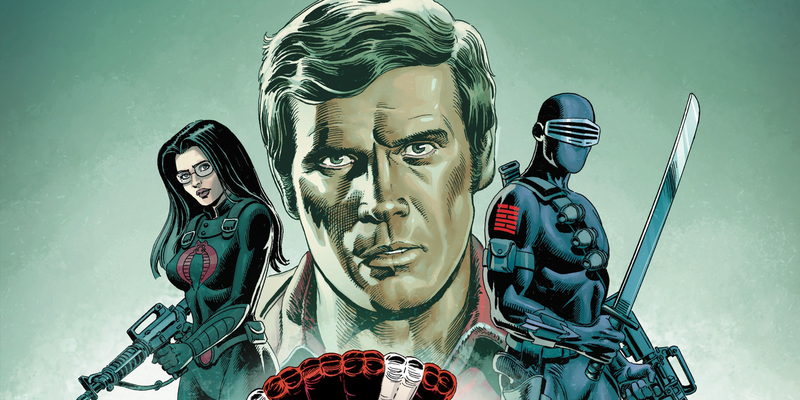 Joe: A Real American Hero vs. the Six Million Dollar Man #1 is scheduled for release on Feb. 7, and CBR has the first look at the issue’s main cover by John Cassaday, along with variants by Gallant and Jerry Ordway. Check back with CBR tomorrow for IDW’s full February 2018 solicitations. G.I. JOE: A Real American Hero vs. the Six Million Dollar Man #1 cover A by John Cassaday. G.I. JOE: A Real American Hero vs. the Six Million Dollar Man #1 cover B by SL Gallant. G.I. JOE: A Real American Hero vs. the Six Million Dollar Man #1 retailer incentive cover by Jerry Ordway.